The rooms provided by the Hotel Red Fort have been decorated as elegantly as its exterior. 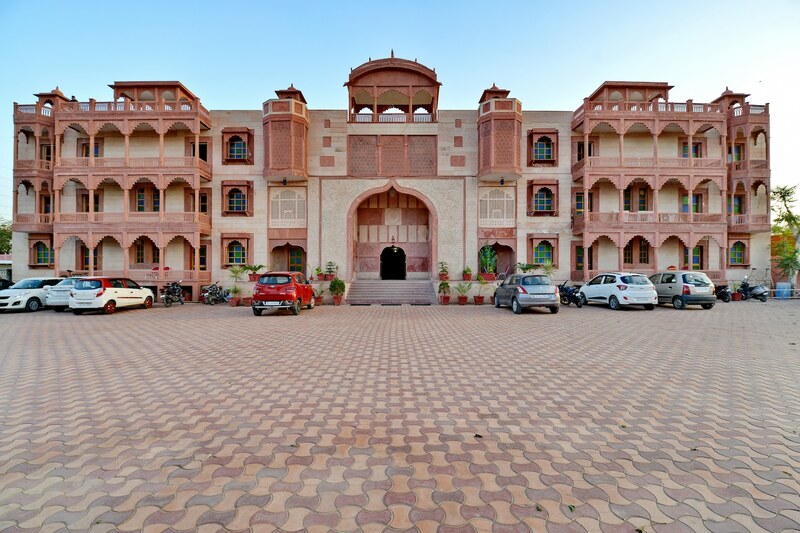 This wonderful piece of property in Jaipur offers well-furnished and comfortable rooms. The rooms are spacious and have been painted in warm colors. Quirky patterns and drawings have been drawn on the walls to enhance the comfortable feeling of the rooms. The rooms are well-lit and are provided with large windows. The additional features provided by the hotel are card payment in all forms, parking provisions, a constant power backup source, and free Wi-Fi. The in-house facilities comprise a common dining area, a banquet hall, and a common living room which can be used as and when required.